Feinstein Divorce Law - Queens Attorney Bruce Feinstein, Esq. The two biggest issues at stake during a divorce process are child custody and finances. Our clients often have questions about spousal support and maintenance, since the laws vary from state to state and often get complicated. 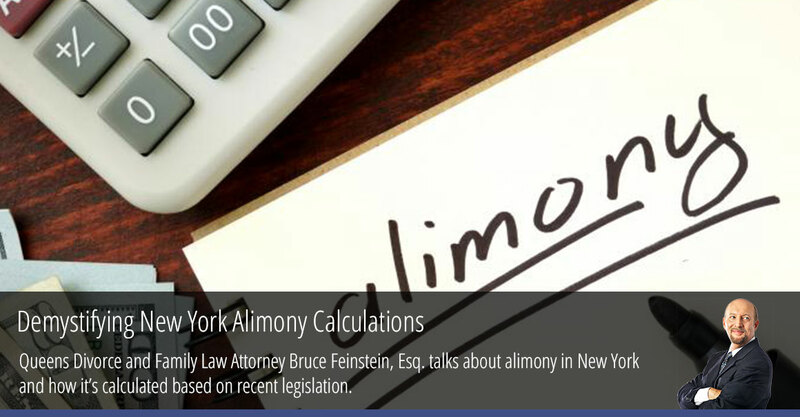 We decided to spend this post talking about alimony in New York and how it’s calculated based on recent legislation. 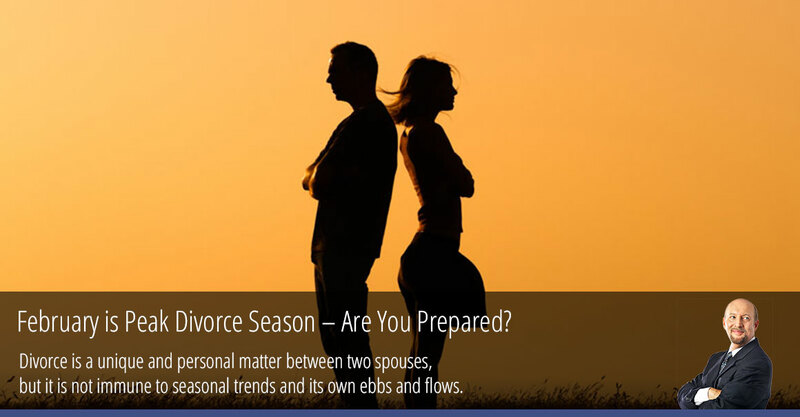 February is Peak Divorce Season – Are You Prepared? Divorce is a unique and personal matter between two spouses, right? Yes, but it is not immune to seasonal trends and its own ebbs and flows. Late February and early January are known in the industry as peak times for filing for divorce in America. These statistics are backed by several theories, ranging from New Year zeal to post-holiday reality. As the pinnacle of divorce filing nears, we want to take a look at these trends and offer some good questions to ask when researching divorce attorneys in New York. Wishing for health, happiness, and success in the New Year is common practice. But attaining these goals is different for everyone, and it might take an unexpected path to get there. The holidays can be particularly hard for couples going through the divorce process in New York. 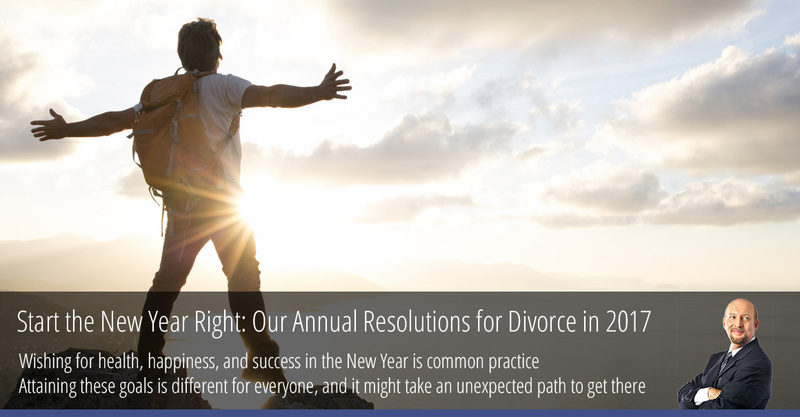 So in order to help individuals and families going through divorce at this time, we released our third annual list of top resolutions to bring prosperity into the New Year. 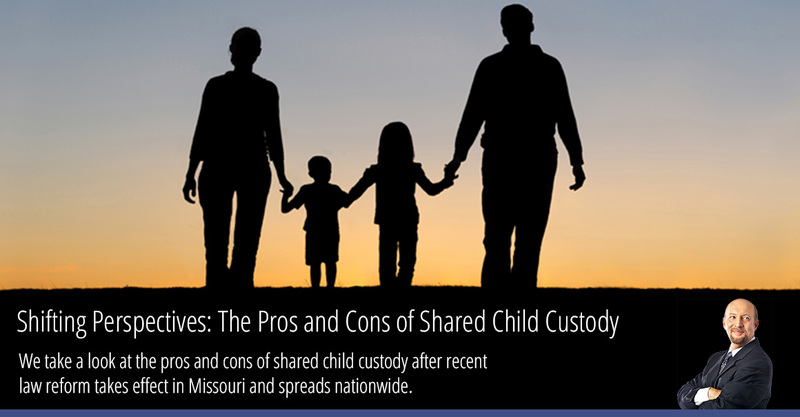 We take a look at the pros and cons of shared child custody after recent law reform takes effect in Missouri and spreads nationwide. A new law passed in Missouri this month, and it aims to have divorce custody rulings equalize the time children spend with their mothers and fathers. This new reform is part of a greater shift seen nationwide. Similar laws are in effect in states like Minnesota, Utah, and Arizona. They mandate court administrators to come up with state guidelines for judges that allow for the most evenly distributed amount of time split between the child and each parent. It was a difficult news week in America with allegations of police violence, terrorism in New York, and ongoing presidential election drama – but the news that really shook the airwaves was the split of rock star celebrity couple Brad Pitt and Angelina Jolie. News is swirling about “who caused it” and “what will happen to the kids,” but there is a very important takeaway from this momentous divorce: finding the right divorce attorney for your case. Securing a good divorce attorney can make a huge difference in the process and outcome of a divorce proceeding. According to recent articles, Angelina Jolie retained Laura Wasser as her divorce lawyer. Jolie previously used Wasser during her split from Billy Bob Thortnon, and Wasser is well known in Hollywood circles as the “Disso Queen” for her successful marriage dissolutions. Contact your local Queens Divorce Attorney now! Contact Divorce Attorney Bruce Feinstein, Esq. Right Now!